Which is your Pick? Sweety Rio or Kimchi Bambi? 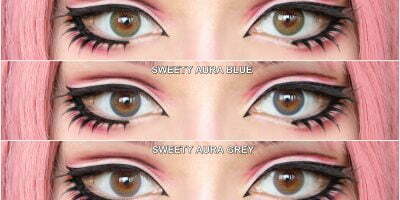 Sweety Colorful Rio pink are known for how beautifully they add a wash of jewel tones to your eyes. The lenses feature rainbow colors that interestingly blend with your natural eye color. Very subtle, very unique; these Rio pink lenses by Sweety are one of its kind. Adding just a hint of prismatic hues, these lenses help your eyes grab tons of attention and that too without creating any drama. On the other hand, Kimchi Bambi blue are strikingly vivid with a gorgeous design. 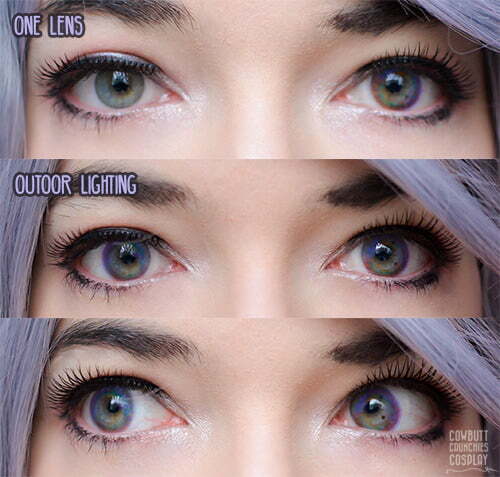 These lenses are perfect for photo shoots and cosplays as they get even brighter under the strong lights. Which lenses do you prefer? Soft with a wash of jewel tones or striking & Vivid?